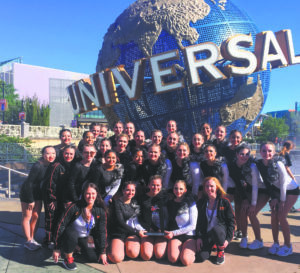 The Hicksville High School Starlets recently earned a fifth-place victory in the National Dance Alliance High School Nationals. 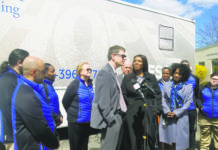 Students were able to fundraise their way to Florida, where they not only got to showcase their talents but enjoy Universal parks. They’re pictured here in their kick routine attire with coaches Victoria Shannon (bottom row, left) and Katelyn Heuser (bottom row, right). 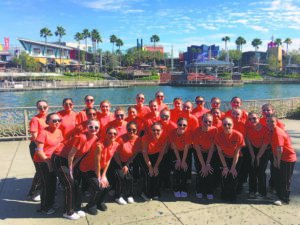 For the first time in 22 years, the Hicksville High School Starlets took their talent to the National Dance Alliance High School Nationals in Orlando, FL. The event brought together hundreds of high school dance teams from across the nation to compete under one roof at Universal’s Hard Rock Live. The three-day competition, which took place from March 2 to March 4, had teams perform in categories like hip-hop, jazz, team performance, pom and kick. The Starlets, a 29-girl team, performed a pom and a kick routine on the competition’s first day and then, with a score high enough for them to move on, competed with just their kick routine in the finals on the event’s last day. Their performance earned them fifth place in the nation under the “large varsity kick” category. Judged on things like the height of their kicks, technique, overall performance and energy, the girls put in countless hours of practice to perfect their routine in the months leading up to the competition. 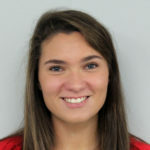 While Shannon and coach Katelyn Heuser, who both choreographed the team’s entire routine, said it’s the girls’ incredible dedication that earned them their spot in the competition, the girls said they owe it to their coaches for the opportunity they were given. A trip made possible through fundraising efforts, the Starlets booked their flight and stayed at Universal’s Cabana Bay Beach Resort. On Saturday, their day off between the two performing days, the team ventured through the parks and, of course, practiced their routine. By Sunday afternoon, they were ready to get back on stage and give the performance of a lifetime.